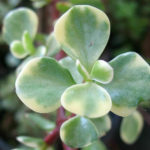 Portulacaria afra f. variegata is a much-branched, slow growing, succulent shrub up to 10 feet (3 m), with attractive, reddish-brown stems and smooth, obovate, glossy green leaves up to 0.8 inch (2 cm) long, heavily variegated with cream. 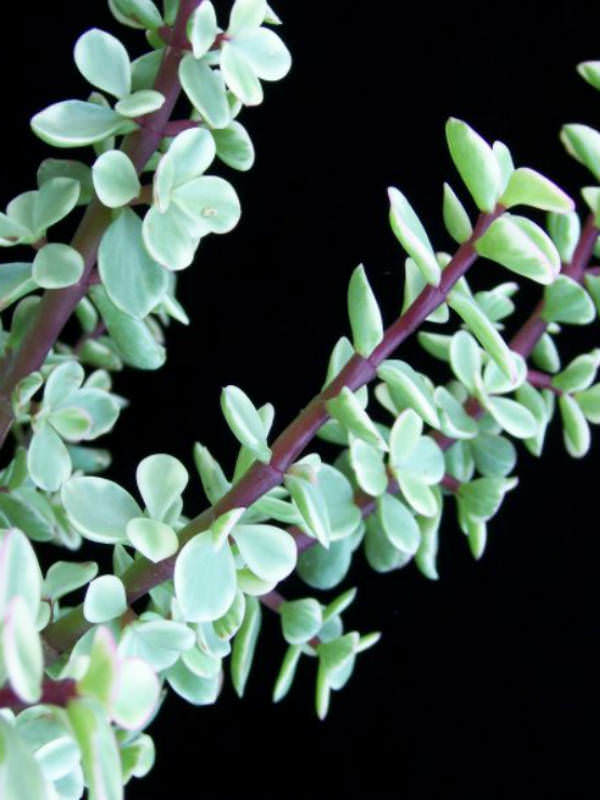 Stems become interwoven as the plant ages. Flowers are small, lavender-pink and clusters shaped. 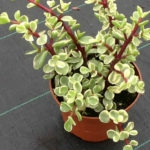 Choose a location with indirect sunlight when growing Elephant Bush indoors. Overly bright sunlight can char the leaves and cause them to drop off. Ensure that the container you choose has wide drainage holes. 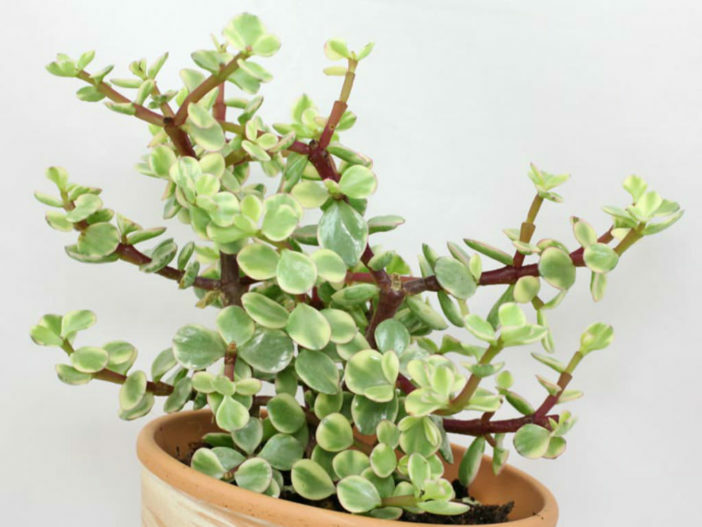 The most common mistake made in succulent plants is watering. 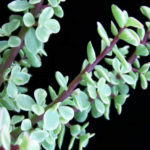 They are drought tolerant but do require watering from April to October. 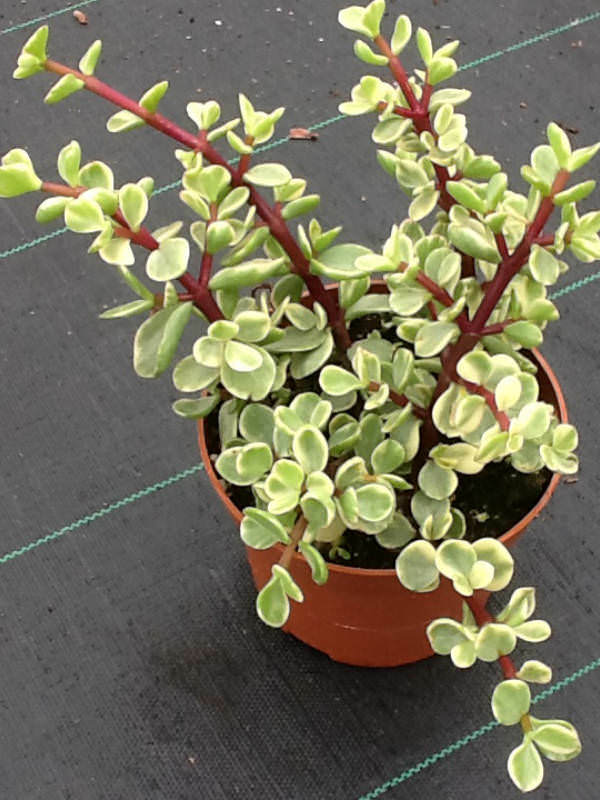 In winter the plants are dormant and you may suspend watering. 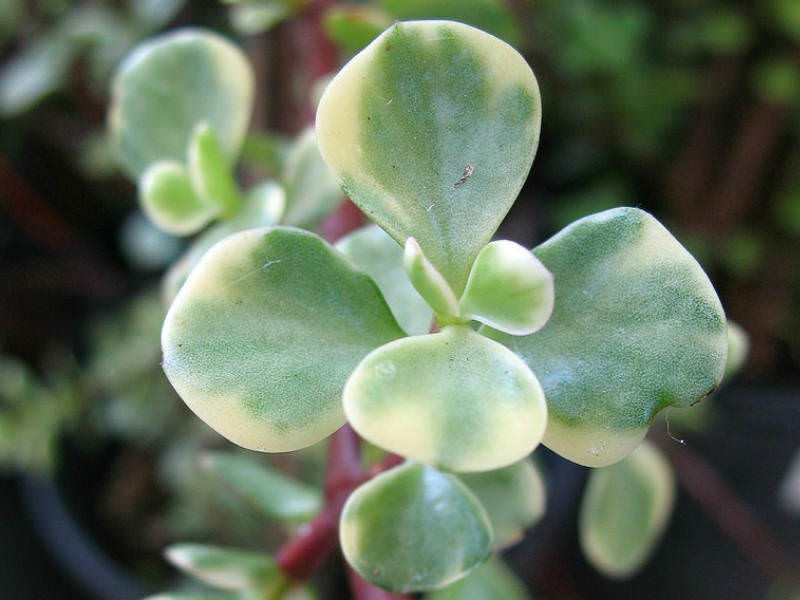 Elephant Bush plants in the home interior should not have consistently wet feet. Make sure the pot drains well and don’t leave a saucer with water sitting under the container. Fertilize in late winter to early spring with an indoor plant fertilizer diluted by half. Native to eastern South Africa.